Ear training, the practice of learning how to recognize certain sounds, is a must for audio producers. We need to be able to spot problems and identify them to before they impact quality or snowball into larger technical problems. This post will help you identify problematic audio, prevent the most common problems and recognize when it’s time to call for help. It’s a great reference guide for anyone who works with audio, from new producers to seasoned veterans. Before you start here, learn how to identify bad audio and take our audio problems quiz. NPR Training’s Rob Byers and two NPR audio engineers took audio production questions during a reddit AMA. Watch this recorded webinar about common audio problems. Preventing audio problems is one of the keys to ensuring quality productions. The term “garbage in, garbage out” is common in the audio world because it’s true. It can be difficult and time-consuming to fix problematic audio once it’s recorded. If you do anything with this guide, learn how to recognize and prevent each problem. These issues occur while recording in a studio or gathering audio in the field. These issues pop up at your desk, cutting the piece together. These issues occur while putting the finishes touches on a piece. Before you make any decisions about audio based on this guide, have a conversation with your management, production and engineering teams to learn the preferred approach in your organization. Distortion occurs when audio levels exceed the capabilities of your equipment or software. You may have set the levels too high or not accounted for a sudden increase in volume. This issue often happens during recording (although it can happen during mixing, too). Think you can recognize the sound of distortion? Take our audio quiz and find out! Set your recording levels conservatively. Make allowance for the louder peaks of laughter/excitement/scene sounds that occur between the consistent level of conversation and 0dBFS (known as headroom). In a digital field recorder, for example, targeting -15dBFS will likely give enough headroom for a typical conversation in a quiet room. Keep an eye on your levels while recording — you may have to adjust them to maintain proper headroom. If distortion appears in a chain of multiple pieces of audio equipment, check for proper level in each piece of equipment. Begin with the first piece of equipment in the chain (the one closest to your source) and work backward to the last, adjusting the level of the offending piece of gear to compensate. Distortion is usually not fixable once recorded (unless it’s phone tape — see sidebar). You want to avoid it. That said, using a low-pass filter can sometimes minimize the severity of the problem. Lower the frequency on the filter until just before the audio starts to become muffled. Note: This can be a drastic change and should be applied carefully. For an approach that can yield better results (but likely requires expert help), try audio restoration software like Izotope RX or the fix tools in Adobe Audition. They work best for mildly distorted audio. You’ll encounter plosives when you record people speaking. Plosives are a blast of air caused by the way the mouth forms the letter “p” (and sometimes “b”, “t” and “k”). The air hits the diaphragm of the mic and distorts it, causing a big increase in level and a “thump” or “hit” sound. To understand the cause of plosives, put your hand four inches in front of your mouth and say “p-pop.” That blast of air against your hand is what hits the mic and causes it to distort. To get a feel for the width of that column of air, move your hand to the side and say “p-pop” again — it’s gone! Keep your mic out of the pop zone, just to the side of the mouth. You should also use a windscreen of some kind, although it won’t prevent pops altogether. If recording in a studio, use a phrase like “Peter piper picked peppers” to test for plosives. There are a couple ways to fix plosives if they make their way onto your recording. 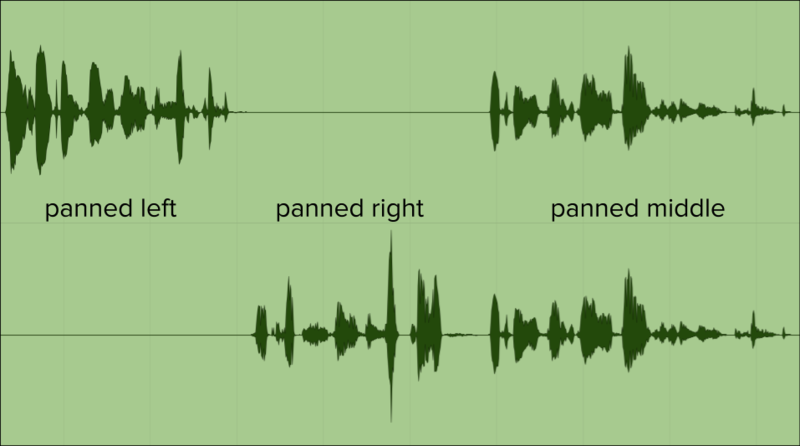 In an audio editor, zoom in on the waveform in question — the plosive is usually larger and has a different shape than the word it’s attached to. Simply select that part of the waveform, delete it and shuffle the edit together. This trick works best if the edit is masked by scene sound or music. You may still end up with an “upcut” or audible edit if you lose too much of the “p”-sound. You can also use a high-pass filter to remove the low-end rumble of the plosive. A piece of the plosive may still be audible, but that’s usually better than no fix at all. Audio restoration software, like Izotope RX Advanced, also has effective de-plosive tools. Handling noise is transferred to the microphone body by physical contact. The sound can take many different forms: ticks, bumps, thumps, rubbing sounds and even low-frequency rumble. You often encounter this issue when you handhold a microphone without using a shock mount. Many microphones (including shotgun mics) are not meant to be handheld. They are so sensitive that even the lightest touches transfer to the recording. The vibration of your skin on the outside of the mic or the joints and tendons in your hand can transfer noise. You can also get handling noise from loose shock mounts. 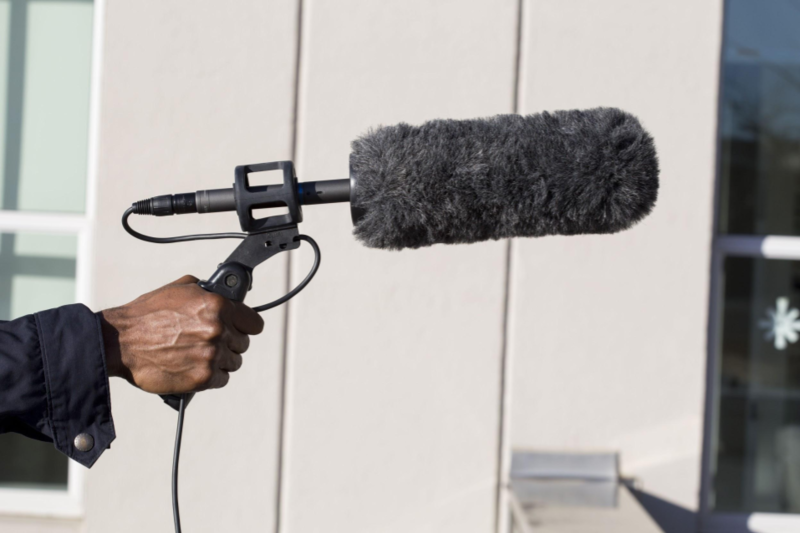 Always use a pistol grip and a shock mount when recording with sensitive mics like shotguns and other condensers. If you can’t, be mindful of handling sounds when recording ambience and moving the microphone or your body. Use your elbow and wrist to make movements instead of your fingers. Practice holding the mic with a light touch and managing the mic cable in a silent way when moving. Alternatively, use a mic designed for hand-holding (like the EV RE-50 or the Neumann KMS 105). If your microphone has one, use the built-in high-pass filter to cut the rumble caused by handling noise. See if your mic has a high-pass filter and turn it on! If you neglected to use the high-pass filter on your mic, you may be able to use a high-pass filter plug-in found in your audio editor. A high-pass filter plug-in can help reduce the low-frequency rumbles and thuds caused by handling noise. However, most handling noise also includes sounds at higher frequencies, like pops and clicks. In those cases, it’s difficult to remove the entire sound. You can try to manually edit out the noises but that won’t be possible when the handling noise overlaps speech or other important sound. A last-ditch effort, and one that may require expert help, is to try to use the “de-clicker” or “spectral repair” modules of noise-reduction software like Izotope RX. Off-mic speech sounds distant, lacks presence and is usually muffled or hollow. When someone speaks off-mic, record levels might seem too low — and you may have to set levels higher than expected. In noisier environments, this will cause the level of background noise to be higher than preferred. Off-mic speech is often the result of poor mic placement or poor mic technique. The type of microphone affects this problem as well. Omnidirectional mics need to be close to your speaker. Shotgun mics can be farther away but must be well-aimed. My guest is off-mic. Do I really need to stop and fix the mic position? Yes, you do! An off-mic guest will lack the presence needed to cut through the noise of common listening environments, like the car or subway. These rules apply whether you are in the field, the studio or working with a guest over Skype. To prevent off-mic speech in the field, keep the mic pointed toward your guest’s chin. Hold it approximately 4-5 inches away and adjust placement as necessary to avoid plosives. The same rules apply in the studio but you have less control since you are not holding the mic. Before the interview, take a moment to discuss proper mic placement with your guest and correct as needed. When working with a remote guest, conduct a sound check (including a check for plosives!) and ask the guest to tell you how far away they are from the mic. If they are further than six inches, ask them to get closer and check again. Then make a decision about which placement was best. If you’re trying to improve already-recorded off-mic speech, you should call in an audio expert for help. Sometimes presence can be helped with equalization (adjusting the tonal balance of audio with “EQ”), but the fix will be different for every voice. De-noising software like Izotope RX or the tools found in Adobe Audition can help reduce competing background sound. But neither will solve the problem completely — prevention is key! Interference can originate from AM radio and TV broadcasts, cell phones, radar, power lines, lighting, neon signs, computers, heavy motorized machinery and more. It has the possibility to impact your recording even if you are not using wireless equipment. Cables and audio equipment can also pick up interference. Some signs that you should repair or replace your cables: kinks, cuts in the rubber jacket, visible wires and frayed bits near the connectors. You want to get these fixed as damaged cables may invite interference issues. They may also become intermittent or stop passing signal. When interference happens, there are many things you can try. The easiest is to change locations. Sometimes moving equipment can help. Swap your cables — especially any that show signs of wear (see sidebar). Uncoil any piles of cable and swap long cables for short ones. Move cables that are near power outlets and power cords. Try a different microphone. If you can, disconnect your equipment from AC power. Turn off fluorescent lights. Put nearby cell phones in airplane mode or, better yet, turn them off completely. If you find yourself constantly having interference issues in the same location, ask an audio expert about purchasing a type of audio cable that may help alleviate the issue. There’s no one-size-fits-all fix for interference once it’s recorded. The solution depends on the nature of the induced noise. Many times interference can manifest as hums or hisses, which have their own fixes. But if you have a more complex problem — like AM radio interference — it will be quite difficult. You may need to ask an audio expert for help. Hiss sounds like “sssss” or “shhhh.” It is usually consistent in level and sound and is sometimes called static or noise. 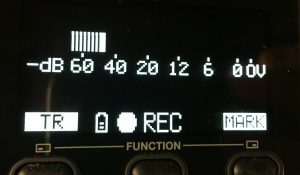 It is often caused by recording levels that are too low, a mismatch in levels between two pieces of gear (mic/line switches set incorrectly) or by low-quality equipment. Hiss can also result from interference or low batteries in a recorder or microphone. To combat hiss in the field you may need to check many things. Low levels are often a culprit, so make sure they are set appropriately. Replace batteries in the recorder (and the mic, too, if it takes one). Make sure “mic/line” settings are correct for the devices you are using. When in doubt, flip the switch, adjust level and pick the one that sounds better. Audio restoration software is very good at removing hiss, but you may want to get help from someone experienced with the tool. You’ll need to find an isolated sample of the hiss that is a few seconds long, without any other sound in it (no speech or movement). Try to capture this sound sample in the field when you first hear the problem. If you don’t have the luxury of recording it, you’ll need to search for another sample (check your ambience beds). The software will “learn” the sound of the sample in order to remove the hiss. “Less is more” holds true for de-noising software, so a few separate passes may be necessary. Just remember to relearn the noise sample before each pass. Note: This can become a time-consuming process. If you decide to go down this road, fix all of your hissy tape before making any edits. That way you only have to do the fix once. You can also try a low-pass filter, but it will only work when the hiss is made up of mostly high frequencies. Hum is a consistent low-frequency noise that might also be described as a “buzz.” It can be caused by an electrical problem that is inaudible in the acoustic environment but recorded via a physical connection to other equipment. It may also be audible in the acoustic environment and recorded by a microphone. Electrical hums can result from many technical issues, most of which will likely be out of your control. Acoustic hums often emanate from equipment like air conditioners, fans, refrigerators, older computers, large machinery, etc. You’ll hear them loud and clear in the recording space. If a hum appears after connecting your recorder to other equipment (like a mult box) but you can’t hear the hum acoustically in the room, try a ground lift. Ground lifts are small “barrels” that fit between your audio cable and the offending equipment. If you hear acoustic hums in the recording space, ask to have the offending equipment turned off — or choose another space to record. If you can’t move, try using a directional microphone and pointing the back of the mic toward the noise. You can reduce an electrical or acoustic hum that remains at a constant pitch with EQ (ask an expert for help). However, using EQ may impact the quality of the recording since it will remove frequencies the “good” part of the recording is trying to use. It’s a compromise, usually favoring removal of the hum. You can also try a high-pass filter to remove some hums. Audio restoration software will remove the most egregious hums, though it can be an involved process. These descriptors are used when you can hear a speaker’s voice reflecting around a space. Their words will also have a “tail” of sound. The tape may be hard to cut if the sound of the room is exceptionally large because of this tail. You’ll run into this problem in tape syncs, field interviews and Skype calls. It’s also frequently encountered by reporters tracking in the field in places like hotel rooms and home offices. Every room has reflections but larger rooms have more space for sound waves to travel through. The more space, the more time it takes for the walls to create reflections and bounce back to the microphone, resulting in a bigger-sounding room on tape. This is compounded in rooms with hard, reflective surfaces such as marble, concrete, stone or bare drywall. Think you can recognize the sound of a reverberant space? Take our audio quiz and find out! When you record in the field, use smaller spaces that have carpeting and soft fabrics throughout the room. To test the space, say a few sentences out loud (or better yet, have someone else speak). If the room sounds “echoey” or “roomy” to your ears, it will sound that way in the recording, too. Keep your mic close to the speaker, no more than 4-5 inches away from the mouth. You want to record more of the direct sound of the voice and less of the indirect sound of the room. When you use Skype, don’t rely on the laptop mic. Instead, ask your guest to use a headset mic or the mic on a set of earbud headphones. Conduct a sound check with the guest and listen for the sound of the room when they speak. Don’t be afraid to ask them to get closer to the mic. If you are tracking yourself in reflective space (like most hotel rooms), you can cut out some of the reflections by sitting under a heavy blanket or jacket (see photos below). Reporters use blankets and jackets to reduce reflections. 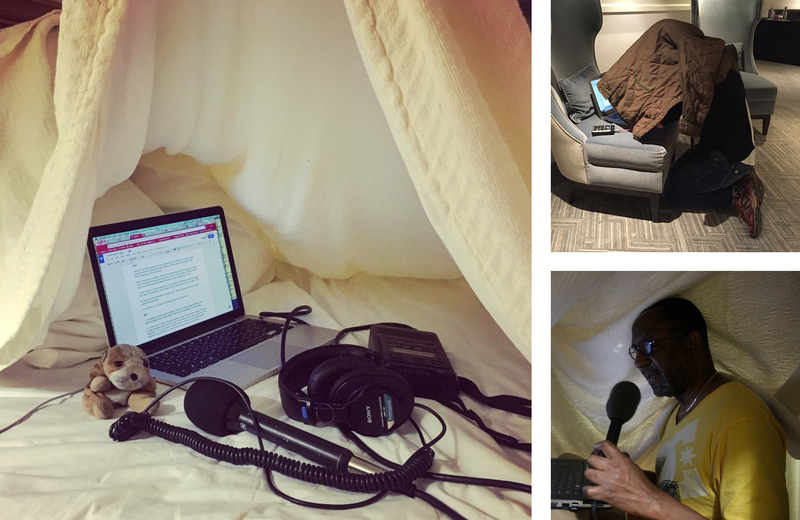 Clockwise from left: Amy Rose Sisk’s setup alongside her stuffed dog, “Wrinkies” (Amy Rose Sisk); NPR reporter Lauren Frayer (Russell Lewis/NPR); WAMU’s Kojo Nnamdi in a Haitian hotel room (Michael Martinez/WAMU). Prevention is the key! Once speech is recorded in a reverberant space, there are no sure fixes. “De-reverb” technology exists and can sometimes attenuate this problem but it is hard to use and the results are unpredictable. It should not be relied on. You’ll encounter buffeting when you work in a windy environment. The noise — pops, rumbles and distortion — can impair the intelligibility of audio and make it unpleasant to listen to. Wind buffeting is similar to plosives (aka “p-pops”) — it happens when a blast of air hits a mic’s diaphragm and causes it to distort. Want to record the wind itself? Use some form of wind protection, especially when working with a shotgun, cardioid or condenser microphone. When recording outside, you want something that disperses the wind and creates a space of still air around the microphone, like a “softie” (see photo below) or zeppelin. Foam sleeves are not effective outside — especially for shotgun mics — because they do not provide enough dispersion. Omnidirectional mics also work well in windy environments and are less susceptible to wind buffeting. Using a high-pass filter can help reduce the rumble associated with wind buffeting. Another trick is to put yourself between the wind and your guest, using your body to block the wind. You can also try to stand behind a building or a car — or actually get in the car and crack the windows a little (to prevent that muffled “in the car” sound). You can sometimes ease wind buffeting noise with the judicious use of a high pass filter in your audio editor. This means using a filter with values as high as 200-300 Hz (or higher) during moments of extreme noise. Note: doing so may negatively impact the sound of voices. De-plosive tools, like those found in Izotope RX, may help as well. Extreme wind buffeting will likely contribute to distortion, which will make audio very difficult to repair and can be time-consuming. Sibilance is an excessive emphasis of “s”, “sh” and “ch” sounds. Recordings that contain sibilance are often referred to as “essy.” Everyone’s speech contains a little bit of sibilance, but some have more than others. Microphones respond differently to sibilance. Depending on the type, some emphasize it while others tame it. 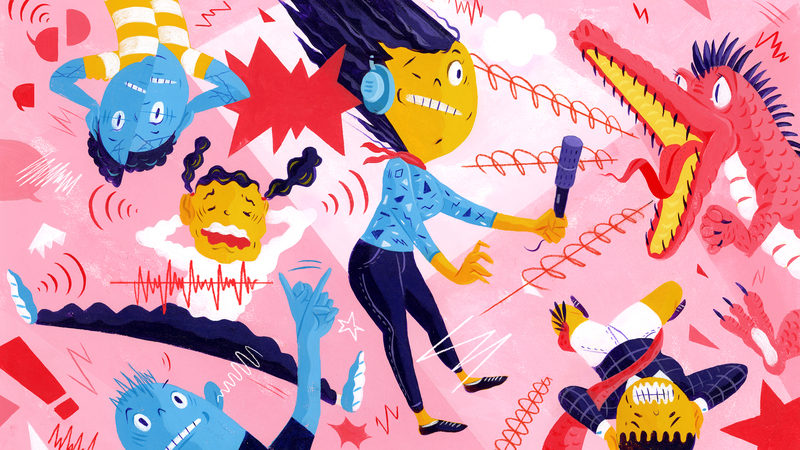 Radio station broadcast processing — and even headphones or speakers — can further exaggerate the problem and make severe sibilance difficult to listen to. To test for sibilance before recording, use a phrase like “Sally sells tennis shoes sideways on trolleys.” If you find the person you are trying to record is sibilant, try a different mic position. Tilting the mic slightly off-axis (away from the mouth) can sometimes help reduce sibilance. You can do this whether you are in the studio or in the field. If you are working with recorded sibilant audio, there are a few tools available to help reduce the problem. That said, it’s best to ask for the help of an audio expert. Mouth noise is completely natural … but it’s a sound nobody likes! Mouth noise is exactly that — the slurps, lip smacks and ticks mouths make when mic’d closely. Ew. It’s the not-so-pleasant result of our tongues, lips and saliva colliding. Sometimes dry mouth can cause extra mouth noise, which is why many people believe you should drink water when faced with it (that doesn’t always work). But extra saliva — like you can get after drinking milk — can also cause this problem. You may encounter mouth noise in both the studio and the field, but it tends to sound more pronounced in the quieter studio environment. Changing mic placement can often help, especially if you are using a shotgun mic. Sipping apple juice is known to work well, as are eating Granny Smith apples. Remember that water can make this problem worse, as can coffee and milk-based products. Not everyone can keep apple juice on hand with them in the studio or out in the field, so you may want to advise your guests to avoid coffee and milk products prior to the interview. If you have a recording with egregious mouth noise, the de-crackle plugin included in Izotope RX can reduce the problem. Sometimes spectral repair tools can also work (you can find those in Izotope or Adobe Audition). That said, it may be helpful to seek the assistance of an audio expert. Audible edits are noticeable cuts that sound unnatural. They can be subtle — like a shift in the background sound between two clips. Or they can be egregious — like words cut together too tightly. Even small differences between two pieces of tape can make an edit audible, especially if the change occurs abruptly. Use care with each edit you make. When you’ve finished putting a piece together, listen to the entire thing with your eyes closed or the screen turned off. Focus on all the sounds, noting every time you hear an unnatural change. If an edit grabs your ear, it needs attention. Play your problematic edits for a colleague, too. A second opinion is useful because it’s easy to lose perspective after hours of editing. Editing can cause the tone or cadence of recorded speech to change unnaturally. This is a derivation of the audible (aka bad) edit mentioned above. For example, the conversational tone during an interview might change from relaxed to punctuated or hushed to loud. Cadences might change from quick to slow or measured to hurried. When those different tones and cadences are spliced together, it can result in an awkward sound and make your edits audible. Pauses of an unnatural or forced length (too short or too long) are a similar issue. They often happen as a result of editing for editorial content and ignoring the sound of the audio. When you’ve finished putting a piece together, listen to the entire thing with your eyes closed or the screen turned off. Focus on the dialogue and listen for those moments of cadence or tone change. For unavoidable changes (like the ones found when using different takes of narration), adding a little space can help “reset” our ears in time for the change. You can create the space with a short pause or — better yet — an actuality or music. Sometimes a short transitional element is all you need. To judge the appropriate length of pauses, use your own breathing as a guide. We sometimes use the term “beat” when talking about pacing, which often equates to the length of the speaker’s breath. Add a beat and listen again. Breaths are a problem when they are upcut or clipped. An upcut breath is one that is edited so it’s incomplete (or “chopped”) — only the first or last part is audible. This frequently happens because breaths are not always easily visible in audio editors. Missing breaths are just that — breaths that have been removed or silenced. They sound unnatural and can cause some listeners to feel tense. Doubled breaths are usually found when copying and pasting audio together. Again, because some breaths aren’t easily visible in audio editors, it’s possible to end up with two breaths side-by-side (see image). Breaths are also problematic when they don’t match the cadence of the speech (i.e. a short, quick breath appears in the middle of a slower passage). Think you can recognize the sound of upcut breaths? Take our audio quiz and find out! For example, a short, quick breath is useful during an interruption or an excited, quick-paced reply. A longer breath is appropriate for a relaxed, measured response. Listen carefully — it’s easy to accidentally double on breaths because they don’t always show up in a waveform. As a rule of thumb, do not remove breaths — it sounds unnatural. Problems with breaths are easily avoided but very common. They happen when we rush to produce a piece or when we try to “nickel and dime” an interview to cut it down to the desired length. The beginnings of the consonants “f” and “h” are easy to clip (upcut), as are the ends of words ending with the consonant “s.” “F” and “h” each have soft beginnings to the consonant. The best way to prevent this problem is to have an awareness of how easy it is to do and listen carefully. When you need to edit an “f,” “h,” or “s” sound, make sure you have grabbed the entire consonant. For tough edits, especially where the f/h/s letters overlap a harder consonant, you may have better luck grabbing the same sound from another word and replacing it. Overlap occurs when two or more people speak over each other. It also happens when an environmental sound (like a bus roaring past) masks the intelligibility of the person speaking. Without visual cues, an audio recording of overlapping voices can make it hard to discern an individual voice. In the same way, background sounds that overpower an individual’s voice can render it unintelligible. When interviewing multiple guests in the field, use mic direction as a cue for when it’s someone’s turn to speak. Before each question, look your guest in the eye, say their name, move the mic, ask your question and maintain focus on that individual. Doing this from the beginning of your group interview establishes a structure for the others to follow. In the studio, where each guest has a microphone in front of them, it can be more difficult. Again, clearly direct your questions. You may need to use a few friendly direct words of guidance for those guests who tend to talk over others. Split-track or multi-track recording (recording each guest on a single audio channel) can help manage overlap, but it is not a solution. This problem is fundamental to mixing and occurs when your clips have different audio levels throughout a piece. The discrepancy is distracting and may even cause your listener to adjust their listening volume to compensate. Inconsistent levels happen when a mix is not carefully monitored to ensure it has a natural sound. If the mix is listened to at a loud volume — or if it’s rushed — the abrupt changes can sneak by unheard. It can also happen when loudness meters aren’t used — or ignored. To prevent level issues, give yourself time to do a focused, end-to-end “audition” of the complete piece. Listen to it with your eyes closed or the screen turned off to remove all visual cues. When in doubt, use a trick from music engineers: Turn down the listening level so the mix is just barely audible and audition it again. If the levels sound fine at a much lower level, this is mix is okay. Listen again at the normal volume to make your decision. Finally, learn how to use a loudness meter. It can be helpful when you’re mixing in less-than-ideal listening environments, like a noisy coffee shop or with low-end computer speakers. You’ve probably heard this before: A clip is introduced and cuts in abruptly, the loud background sound jarring you and stealing your attention. That’s usually caused by the lack of a fade on either end of a clip, which results in an unnatural entrance/exit. The higher the background sound, the more abrupt the change. Radio or podcast processing can sometimes amplify this issue. A slightly distracting transition in your headphones may sound much worse on the air. You should always place a fade at the top and tail of clips. You can experiment with the fade to make it as smooth as possible, but there is no one perfect length. It completely depends on the content of the clip. Use crossfades between clips to smooth out noticeable differences in sound. You can also use an ambience bed underneath the clip to help mask entrances and exits. An abrupt change in the sound underneath an actuality or a scene can grab your listener’s attention (in a bad way). This is usually caused by a bad edit between two pieces of audio where the background sound has changed. Any shifts in background sounds — like machine noise, ambient music or crowd noise — stick out because they can be loud compared to the people speaking in those environments. You should always record at least a minute of ambience for every field interview. That ensures that you capture enough clean, usable ambience with minimal handling noise and nothing that will noticeably repeat if you loop it. When gathering ambience, keep the mic in the same position it was in during the interview. Doing so will ensure the sound of the ambience exactly matches the background of the interview (pointing the mic in a different direction would yield a different sound). Don’t change the level of the microphone input. You might be tempted to do this — because levels will likely be low — but it’s helpful for the level of the ambience to match the level of the interview. Bright-sounding audio is often described as tinny, trebly or thin, and contains an unnatural amount of high-frequency sound (or the opposite, not enough low-frequency sound). 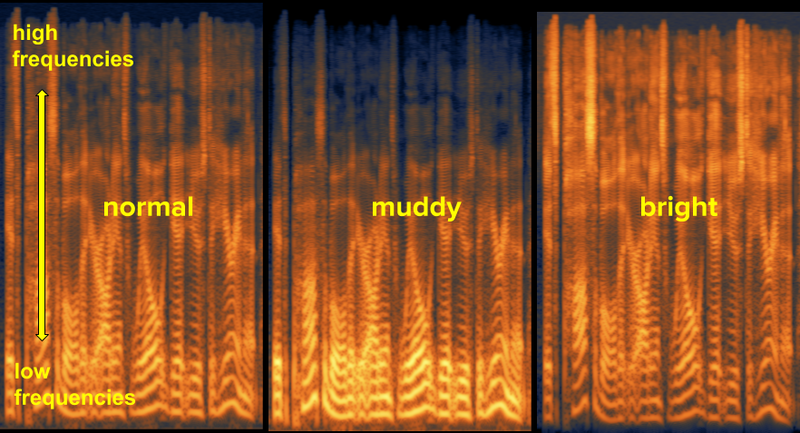 Muddy-sounding audio is the opposite — it is often described as sounding muffled, “bassy” and tubby. It lacks high-frequency sound or includes too much low frequency. Collectively, these are tone or equalization (EQ) issues. They are most often encountered when recording phone interviews and voice over IP (VoIP) connections, like Skype. Audio dubbed from YouTube can also sound bright or muddy due to a low bit rate. In the field, these issues can be indicative of a failing piece of gear, a low battery or an audio connection that is not plugged in correctly. Think you can recognize the sound of bright audio? Take our audio quiz and find out! First, learn how to identify these problems. When you know what to listen for, check your equipment. If you are looking for content on a source like YouTube, find another source. Is your audio awkward to listen to? Does it make you nauseous (yes, it’s a real thing)? You might have phase issues. The audio may be intelligible but sound like it’s coming from behind your head. Some have described as feeling if your ears are “turning inside out.” Voices (or instruments in a piece of music) may completely disappear. Phase problems occur when two channels of a stereo file each have similar information that is played back out of sync. You can see this issue first hand if you view the clip in an audio editor — the positive and negative parts of the waveform are opposite of each other in each channel. This can have a very serious consequence for listeners who hear it in mono, because it may play back as silence. First, learn how to hear phase issues. Second, know the causes. Phase issues can result from incorrectly wired cables, so keep your cables in good working order and test new ones. They can also result from accidentally flipping a channel out-of-phase when using a polarity button in audio editing software or mixers. Phase problems often crop up when tape in an audio editor is doubled but slightly out of sync (like in a tape sync). Think you can recognize phase issues? Take our audio quiz and find out! If you encounter a phase issue when recording in the field, try swapping cables. If you are using two mics to record something, put more space between them or use one mic. If you are editing or mixing with a stereo file, you can get around phase issues by using only the left or right side of that piece of audio. You’ll just need to ensure you aren’t missing any important audio that was balanced more to one side than the other. Either way, make a note that the source file has phase issues and inform anyone else that might use it. You don’t want that file to go to air! Compression itself is not a problem. It is a tool that is widely used to help make audio sound bigger and easier to hear. Too much of this processing, however, can make the speaker sound like they are yelling. Audio that lacks dynamics — quieter and louder sections — sounds unnatural and can be unpleasant to listen to. It may be described as “pumpy,” forced or crunchy. It can also be rather jarring when overly compressed audio appears next to more natural sounds. We sometimes run into this issue when using remote studios that normally work in commercial radio or TV and prefer a compressed sound. Compressed audio is also found when dubbing audio from a TV broadcast feed or sites like YouTube. Think you can recognize the sound of overly compressed audio? Take our audio quiz and find out! When scheduling an interview with a remote studio, ask the engineer to remove any processing they might be using — especially compressors and limiters. Do a sound check. Does the guest’s voice sound natural or compressed, like the audio example above? When sourcing broadcast audio, try to find alternatives to TV feeds. Unfortunately, there’s no fix for compressed audio. Once it’s processed, there’s no way to recover the dynamics. 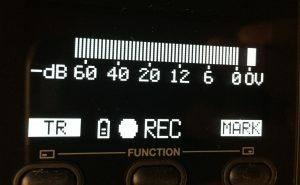 Stereo balance issues usually mean the voice or subject of a recording is coming out of the left or right channel instead of the middle. In radio, we’re used to hearing voices in the middle of the stereo field (the imaginary “image” created by sounds coming out of the left channel, the right channel, or somewhere in between). Panning to the left or the right is reserved as a production effect. Otherwise, it can be jarring to the listener. Extreme panning can also cause issues at the station level. Stereo balance issues can happen for many reasons. For one, field recorders may be set to record stereo files and route a mic to one side or the other. Video news producers will often split dialogue in one channel and ambience in the other. First, know how to set up and operate your recording equipment (especially the routing capabilities in your field recorder). To prevent stereo balance issues, you must be able to hear them. You’ll usually see it right away (see photo) and then you can confirm it by listening. You can use only the side that has the audio you want (this is known as “pulling left” or “pulling right”). You can also combine the left and the right channels into one. This is helpful when one channel has dialogue and the other has silence or low-level ambience. If the voice is a little off-center, you can rebalance the left and right sides to move the voice to the center and maintain a sense of stereo spaciousness. If you do this, call in the help of an audio expert, as it may be indicative of other issues. Low bit rate audio can sound like it’s underwater or muffled, and may include “artifacts” like hits, ticks and pops. It can exaggerate high frequencies, especially sibilance. It may also impact intelligibility. You may encounter low bit rate audio whenever you use voice over IP (VoIP) calls, video/audio chat services or lower-quality ISDN lines. Audio from online sources like YouTube may also be low bit rate. Ever made an MP3 out of an existing MP3 and found it sounded much worse? That’s the effect of transcoding. All of our audio distribution networks and production processes involve some form of data compression. When you put a low bit rate file through a data-compressed audio system, it compounds quality issues. Learn how to identify low bit rate audio and differentiate it from other audio production issues. If you have a low bit rate file, try to find a better sounding source (e.g. a C-SPAN television feed versus a CNN video on YouTube). Avoid data-compressed files (like MP3s, AACs, etc.) when you can. They may sound fine in your audio editor, but transcoding (see sidebar) may make them sound worse when aired. There isn’t a good fix for low bit rate audio other than prevention. Equalization (EQ) can help tame some of the tinny sounds and noise reduction may help with artifacts. A big thank you to NPR Training’s Serri Graslie for helping this project through its many phases and designs and continuously being a positive influence. And special thanks to Flawn Williams, Craig Thorson, Stu Rushfield, Chris Nelson, Kevin Wait, Melissa Block, Sam Sanders, Christopher Joyce, Michael Raphael, Andy Huether, Ariel Zambelich, Wes Lindamood, Alison MacAdam, Saidu Tejan-Thomas and Bria Granville for their assistance in putting this guide together.